There are several Genus and species of leaf and bud eelworms which are microscopic nematodes and not visible to the naked eye. 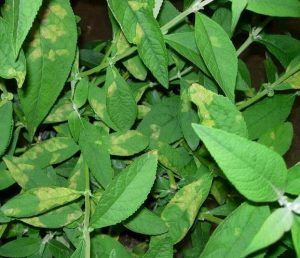 They causes the foliage to turn yellow in patches between the leaf veins, which then turn brownish-black without the formation of spores. 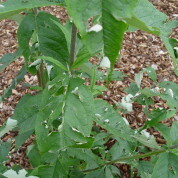 Most attacks of eelworm are caused by the eelworm Aphelenchoides ritzemabosi, which tends to attack the leaves and another A. fragariae tends to start their attacks in the buds, which often show no sign. 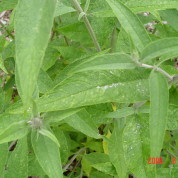 Buddleja may not show any obvious leaf colour variations, but the flower spikes can be small and contain many aborted flowers. The Leaf eelworms are difficult plant parasites to detect. These nematodes are found in damp soil and can attack both plants and animals. To detect eelworms, break rather than chop affected leaves into tiny bits, and leave in a glass of water for 30 minutes. Tiny, moving masses of eelworms would then be seen at the bottom of the glass of water. These Nematodes feed on the leaf cells from between the top and bottom epidermal surfaces. They enter the leaf through natural openings like stomata from the layer of infected water. 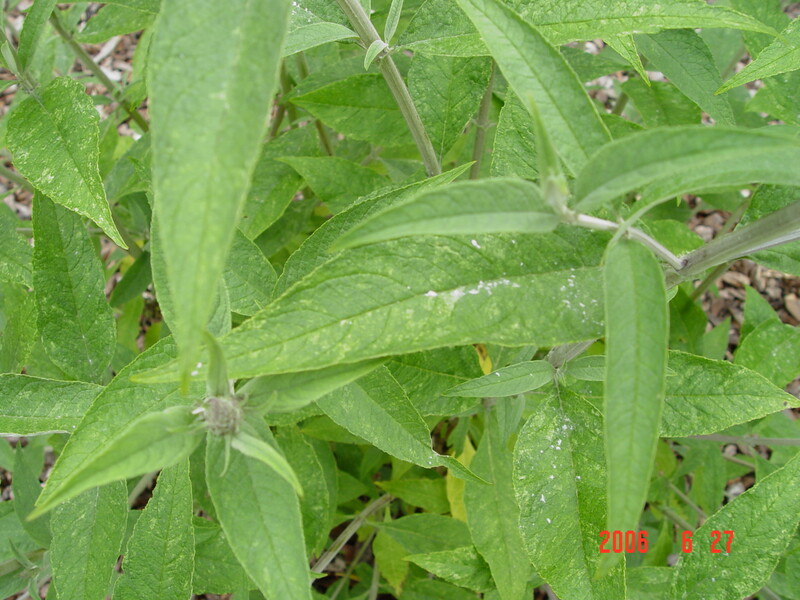 They also secrete compounds that affected the development of plant tissues. 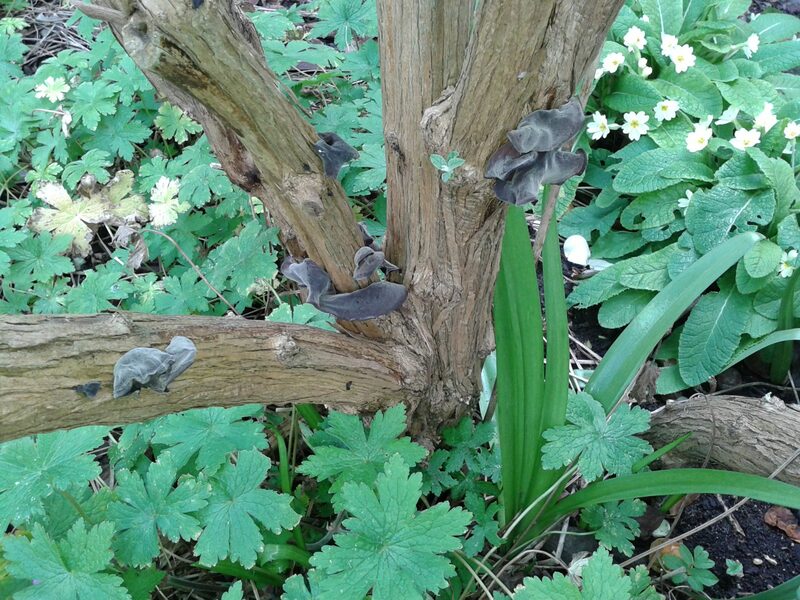 They over-winter in dead infested leaves on the ground or between infected bud scales. The entire life cycle, of the eggs, larval stages, and adults takes place within the leaf. From egg to adult takes 10-12 days when temperatures are between 18-25C (65-75F). Some species can spend part of its life cycle in the ground when infested leaves fall off or are washed into the soil during period’s rain or watering. 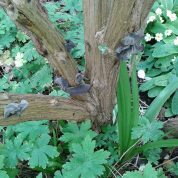 The RHS suggest all infested plants should be removed and burnt, I think this is a bit drastic it is more acute in cold wet springs when the terminal leaves appear like the photo. In this case I agree all infected shoots and leaves should be destroyed. 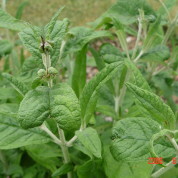 In May with warmer weather the shoots will grow away and should flower without any problems. If you do need to replace an infested plant make sure it is planted in new soil. Eel worm damage on the terminal leaves. There is no cure, remove the affected shoots and burn. Many insects can be controlled without spraying. 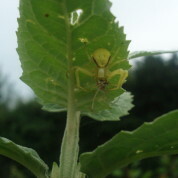 Shield beetles can be picked and squashed by hand, while aphids can be blown off a plant with a strong spray from the garden hose. 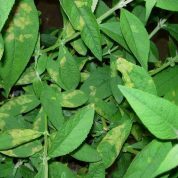 Plant culture, such as planting in sufficient sunlight and spacing plants properly can often keep the pest population at tolerable levels. Even when using all-natural bug sprays, care should be given not to overuse a pesticide. 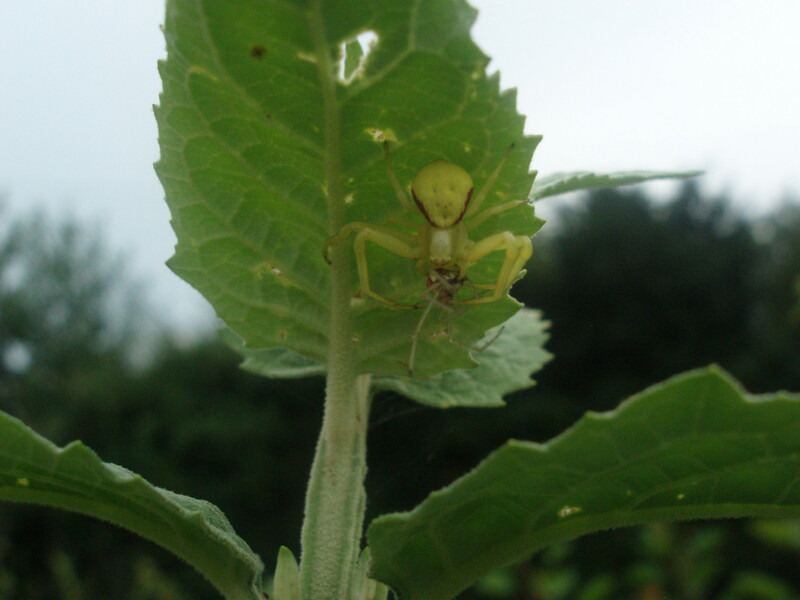 Overuse can kill beneficial insects; there is no use in killing pollinating insects or insect-eating predators, such as lady bugs and praying mantis. Make sure your product is labelled for your target pest and always use according to label instructions. Spray only affected plants. Most years the Buddleja collection at Longstock have not been sprayed at all. Viruses cause mottling effects on the leaves, so buy healthy plants. There is no cure except to dig up plants and burn, do not compost. 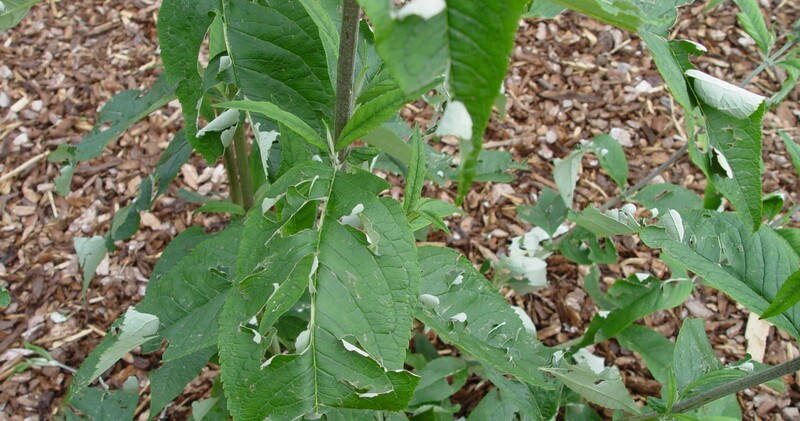 Virus damage on Buddleja davidii ‘Adonis Blue’. 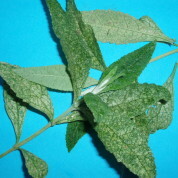 This has been identified as Cumcumber Mosiac Virus. Downy mildews affect a number of plants, spoiling the appearance of ornamental plants and affecting the yield and quality of edible crops. 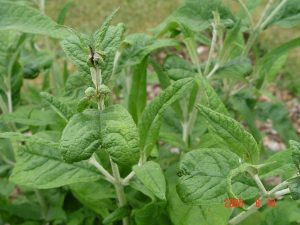 Control depends on cultural techniques as no effective fungicides are available to amateur gardeners. Green shield bugs. 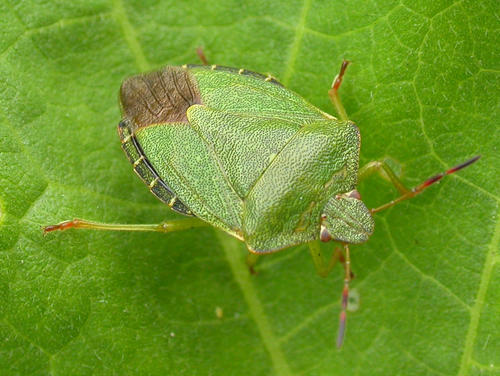 Two species of green shield bug now occur in Britain. 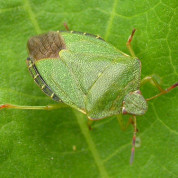 The common green shield bug is native to Britain and of widespread occurrence. 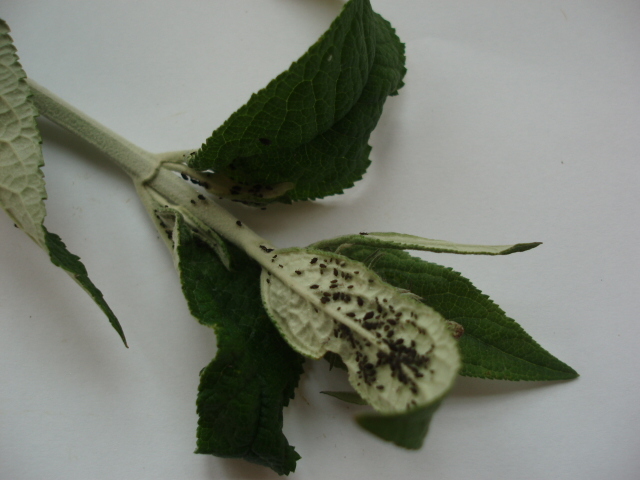 Blackfly on the tips, in May spray with an insecticide. 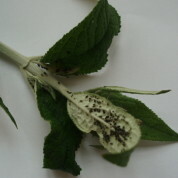 Red spider mite, in the spring spray with an insecticide. 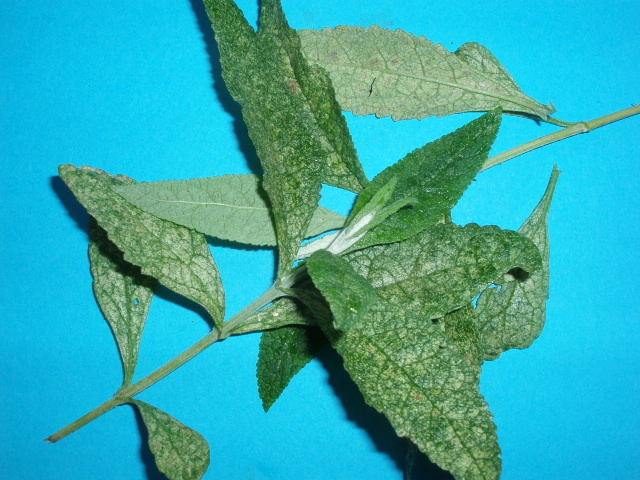 Virus damage on Buddleja davidii Adonis Blue no cure. Leaf miner fortunately seen not often.